Changing designs Mid-Construction – Cadance needs a makeover! Normally I try not to do this when I’m building a costume or outfit. Especially if it’s mostly completely. But I’ve done it this time. I’ve changed designs for Princess Cadance. 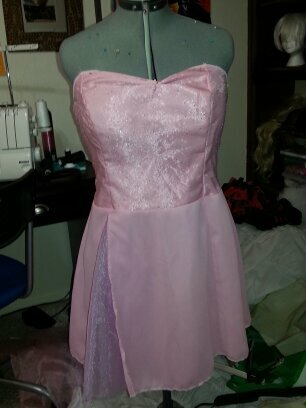 I like the idea of a formal dress but it’s looking so….lackluster… at the moment. I’m also thinking I may have to do gold kitten heels with this as she does in fact have gold “shoes”. Maybe also make a small barrette for her crown as well. Pics soon of that! Errrr – click on the mod pic to see the text I wrote for it. 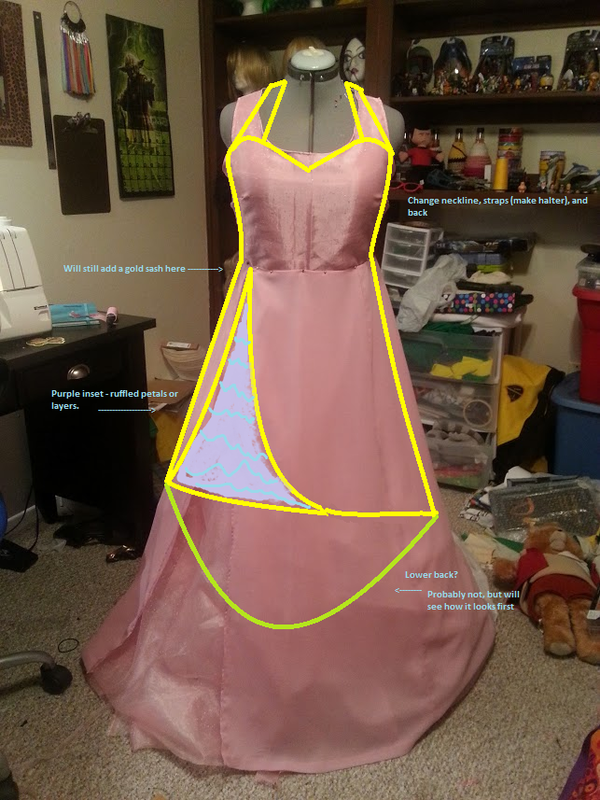 I think I’ll be happier overall with this design and that way I can focus on doing a huge ballgown in the future – still NOT the wedding dress though – almost everyone does that. I’m also working on a casual outfit so I can do a “Foal Sitter” version. UPDATE: Here’s a sneak peek at the redesign so far….it’s almost done. Need straps, hems, petticoat, belt, accessories…. Previous Being a Military Spouse is Hard! Next Kicking it into HIGH GEAR! !